Thank you for your interest in the Jade Bloom Oils Wholesale Program. It's pretty exciting to discover the source of the lowest cost and highest quality 100% pure natural essential oils. It's even more exciting to realize that you can resell Jade Bloom Oils and make a profit or purchase them at a discount to use in your business. Partner with us today and join us in our mission to make the healing benefits and healthy lifestyles granted by pure essential oils available to the world at affordable pricing. 4. Your business must reside in the U.S.
Q: What is your wholesale program and how is that different than what an MLM company does? A: Our wholesale program is designed for local established business such as spas, soap makers, health stores, etc. that are able to purchase large bulk orders for the purpose of reselling the Jade Bloom brand at their shops or for use in making their products. Unlike an MLM company that are required to mark up their products to support a multi-pay system across a downline of sometimes 40 different people, our wholesale program has one simple discount for a business to make the majority of the profit we make by selling directly to their customers. Q: How much do I save on my orders as an authorized wholesaler? A: Ordering as a wholesaler is just as easy as placing an order as a retail customer. Our wholesale program uses the same online interface to shop and add products to your shopping cart. If your account is approved for wholesale then the pricing will be adjusted accordingly on the product pages. Once your shopping cart is ready and meets the minimum order requirement simply check out online just as a retail customer does. We also provide phone support for placing orders by calling 844-PURE-OIL for our wholesale customers. Q: Can I still acquire loyalty points for my orders like retail customers? A: Yes, our wholesale partners acquire 6% in loyalty points for their orders that can be applied towards future orders. 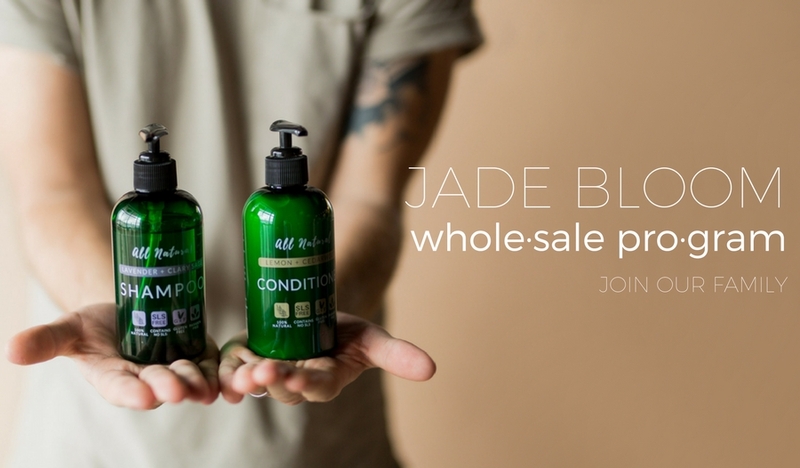 Q: Can I be a wholesale customer if I am already an affiliate or ambassador for Jade Bloom? A: Yes you can, however, you will need a separate account for placing your wholesale orders by using an alternate email address. Q: Can I use coupon codes with my wholesale account? A: No, coupon codes are not valid for wholesale accounts. Wholesale customers may set up a separate standard customer account for taking advantage of coupon code offers. Q: Can I place orders on my wholesale account less than $250? A: No, the margin we make available for wholesale customers comes partly from the savings from shipping at least $250 worth of product to the same address. Wholesale customers may set up a separate standard customer account for placing orders less than $250.